Like most industries, the railroad industry requires some very unique skills. Unlike most industries, the railroads industry provides you the training you will need to be successful at your job. Where an electrician can get training through school programs and apprenticeship programs, a railroader is mostly trained through the company that hires them. This includes rules training on Federal Railroad Administration requirements and technical training to perform their specific craft. This fact makes applying for a railroad position a little bit different than most jobs. When you apply to be an automotive tech, chances are you have experience in the automotive industry. If you are applying for an electrical position, the same thing applies, but in the railroad industry, many times the people that are hired for skilled craft positions do not have any railroad experience. If you have never worked on a railroad, don’t fret. You still have a good shot at getting hired as long as you’ve built skills for railroad jobs in other ways. There are a few things that all companies will require, regardless of the job type. You will need at least a high school education or equivalent. You will have to be able to pass a strength test, drug test, physical and eye screening. If you are color blind, you can not work in any position that will require you to read signals. Technology may change this in the future, but for now, the transportation, signal and track department will all require a color blindness test as part of your hiring physical. If you are applying for a craft that will require a CDL, or if your seniority will allow you to hold a job with a CDL, you must be at least 21 years of age. Otherwise the age limit is 18, with a year of work experience. This is the number one thing railroads look for when hiring new employees. They look for consistent job history, military training and any extra training that you have picked up along the way to show that you are someone who wants to work. If you have taken extra classes, volunteered for a local organization or volunteered for an extra assignment at work, make sure those things make it to your resume. Railroads are dangerous; there is really no way around it. On June 28, 2016 4 people went to work for BNSF, only 1 came home. One engineer was able to jump from the train before the two engines collided in a head on collision in Panhandle, TX. February 21, 2016 a track worker for Norfolk and Southern went to work, he was killed when he was hit by a train while working on the track. Those are only 2 of the fatalities suffered by the railroad industry so far this year. Make sure you highlight your safety record on your resume. This means talking about your driving record, your injury record, and anything that you have done to create a safer work place in the past. Railroads want to know you are contentious about your safety and the safety of those around you. I don’t know if you’ve noticed, but railroads are not usually indoors. 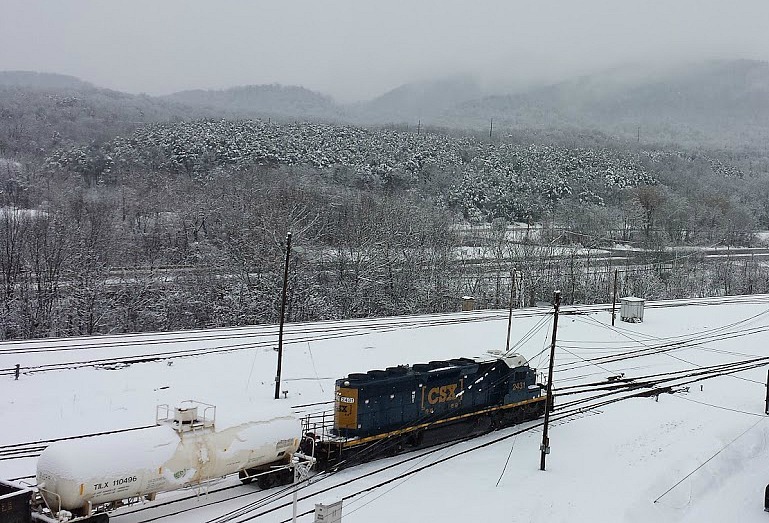 Railroads prefer people who are used to working outdoors in all weather. The running joke on the railroad is that it is always 72 and sunny on the tracks, because no matter what the weather, you are going to be out in it. If you have done farm work, worked on an oil platform, done road work, anything that shows you are willing to work outside in all weather conditions is a plus. It’s always 72 and sunny on the railroad! Railroads operate 24/7, 365 days a year. Trains run on Christmas, they run on New Years, they run at 2 am on a Saturday. If you have past experience in a position that required you to work on call at all hours of the day and night, the railroad looks at that as a positive. Not all skilled trade positions will have to work on call on a consistent basis, but most do. In the event of a major disaster, even those that don’t usually work on call may get called out. Experience in other industries comes in handy depending on the path you take to the industry. Welders, heavy equipment operators, electricians, and telecommunications workers will all have a leg up with this type of experience. 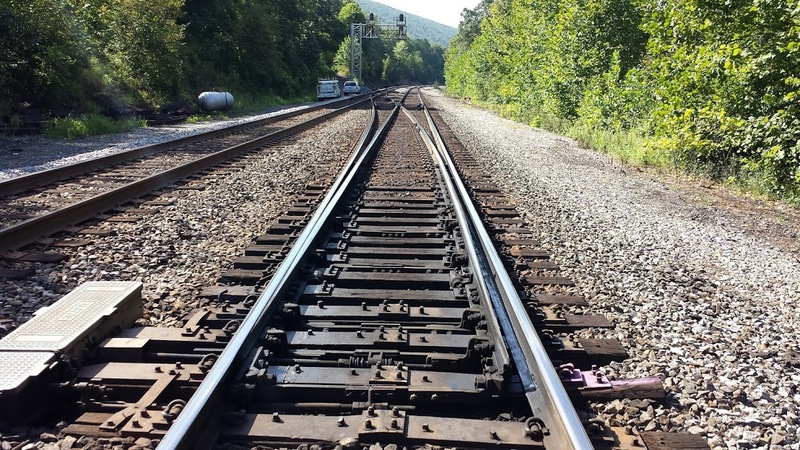 Railroad track workers are responsible for fixing and maintaining track conditions and rail. Any previous welding or cutting experience is considered an asset in a track worker. The railroad will provide additional training that is specific to the railroad industry, but previous experience will make the process smoother for you and the railroad you are hired onto. Track workers are also responsible for the track beds under the rail so previous experience with heavy equipment is also a plus. Track workers may be required to run dozers, back hoes or track hoes. Any previous experience with this type of equipment will give you a leg up on the competition. The signal department is responsible for installing and maintaining the train control system and all crossing equipment. The equipment itself is very specialized and engineered specifically for railroad applications, but the theories behind it are not. Knowledge of basic electrical theories like Ohm’s law or series and parallel circuits will help you understand how to install and maintain the equipment. The communications department is becoming a bigger and bigger part of the train control system. In addition to the train control system, the communications department is responsible for the installation and maintenance of radios, printers and end of train devices. To work in the communications department an FCC license or military equivalent is required. Previous experience with fiber and CAT cable are also a plus. To find more information about obtaining an FCC universal license, visit the FCC website. Working for a railroad is a great career choice and previous experience isn’t required. A few key skills for railroad jobs and a great work ethic will give you a great shot at getting hired on your railroad of choice.